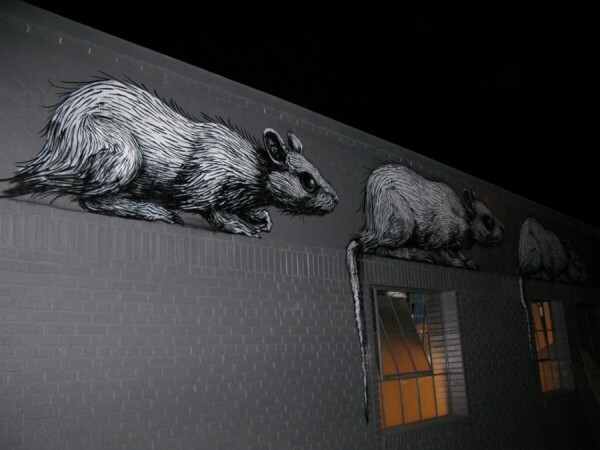 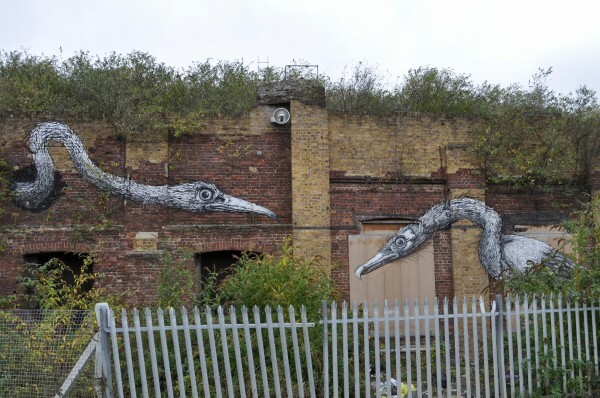 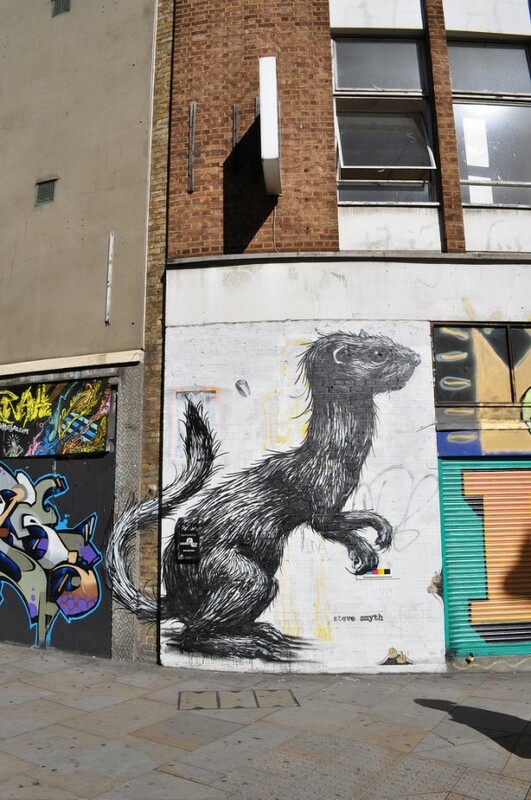 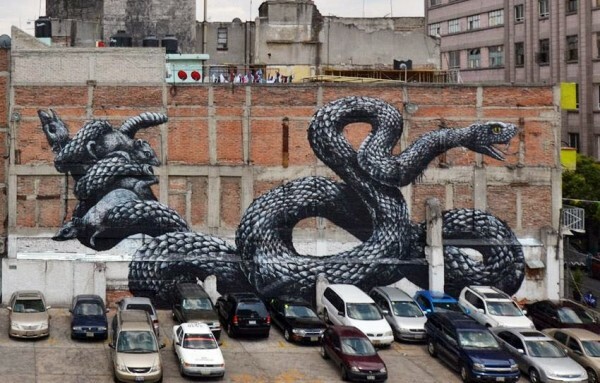 Once you begin to appreciate the artistry that goes into the best urban art you will undoubtedly come across the street artist ROA. 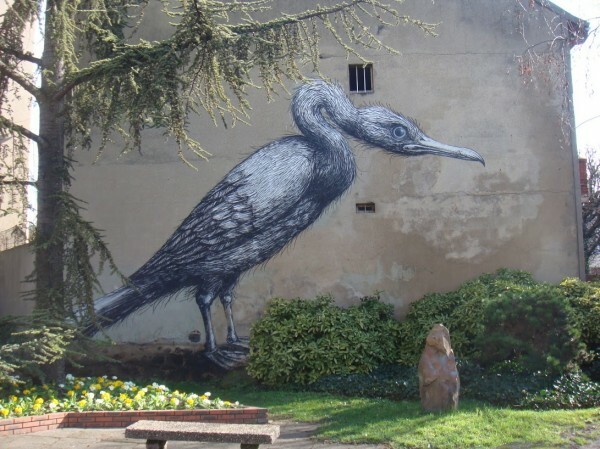 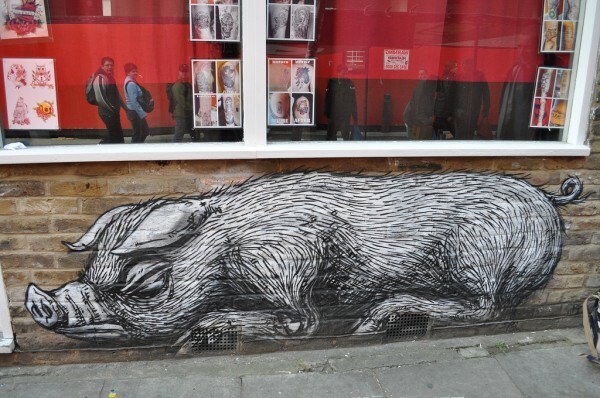 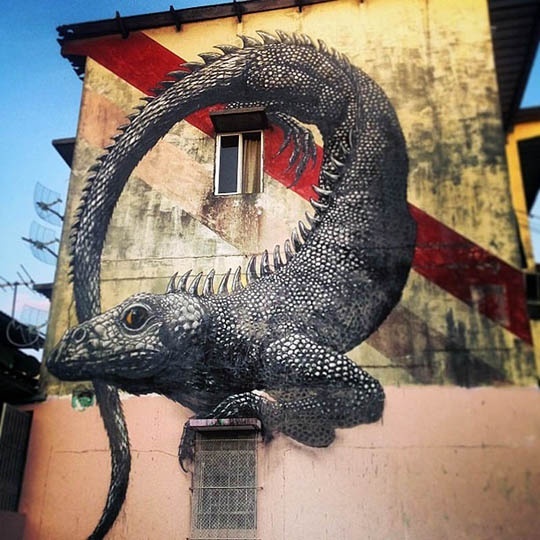 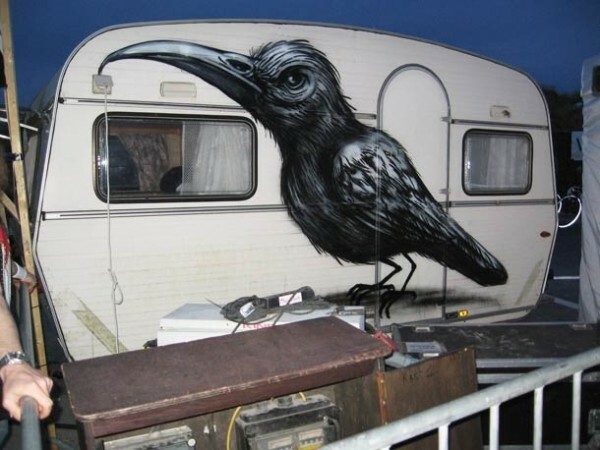 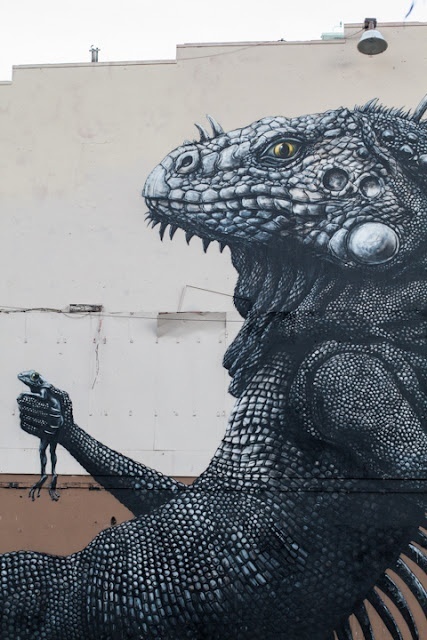 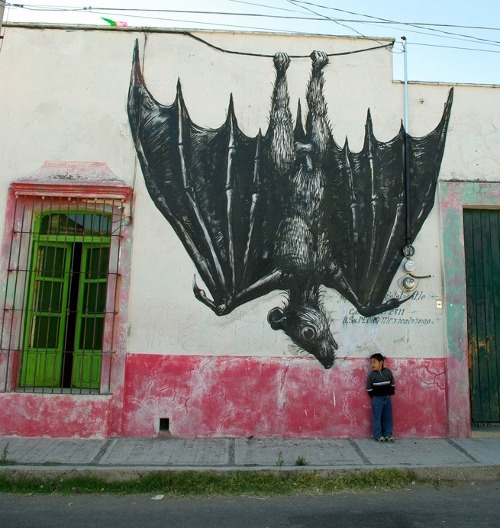 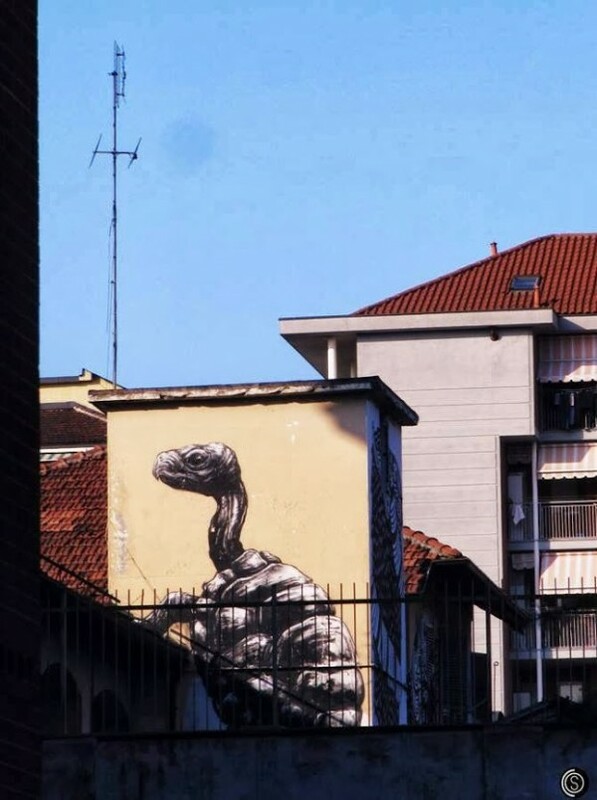 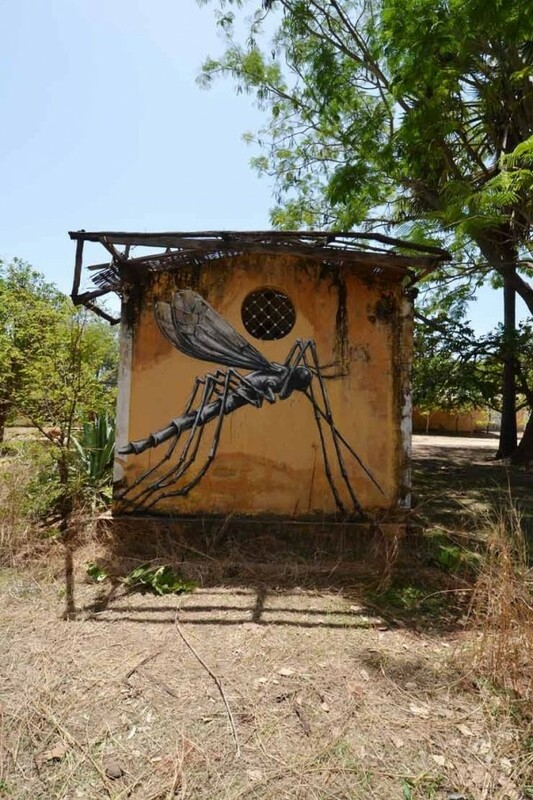 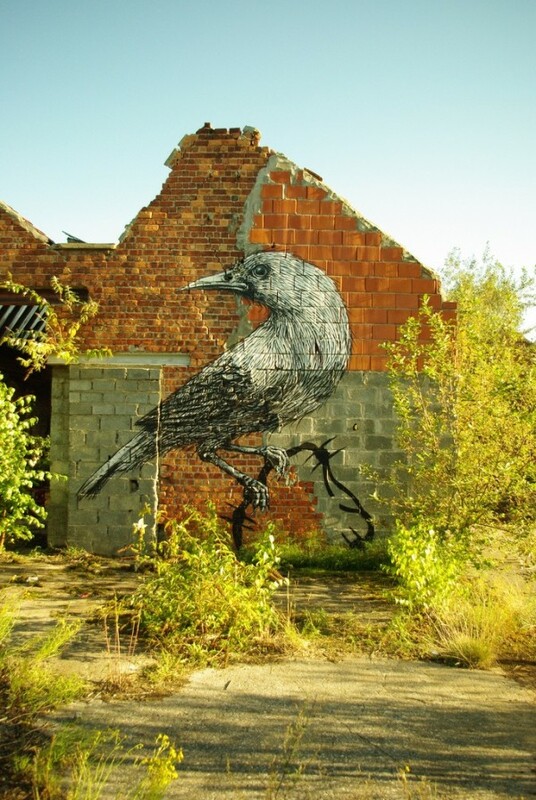 ROA is a Belgian urban artist / street artist who has taken an amazing ability to create lifelike creatures and animals and has traveled the world spreading his sketch like creations. 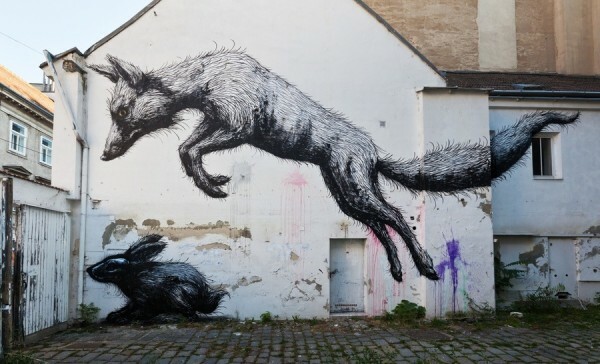 They combine amazing accuracy with a simple black and white, sketch like approach that is at once appreciated by many facets of society. 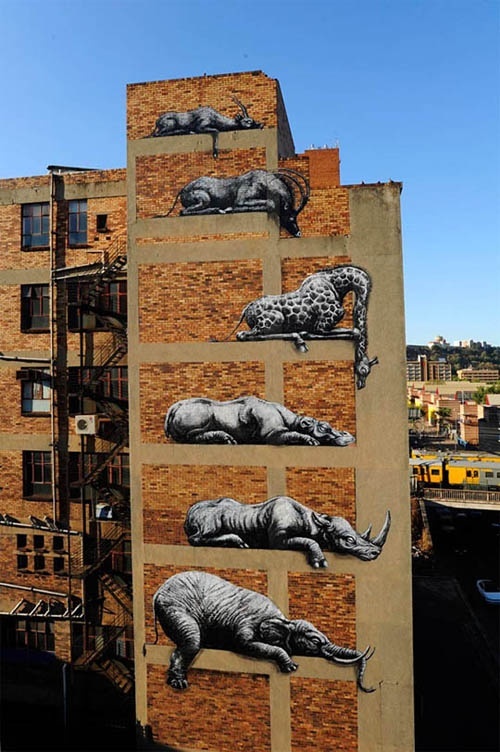 They are creations that any age group can stop and admire. 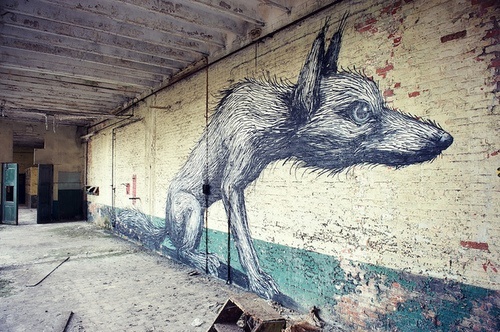 Growing up in the town of Ghent in Belgium his work began as paintings of animals in and around his hometown’s abandoned or industrial areas. 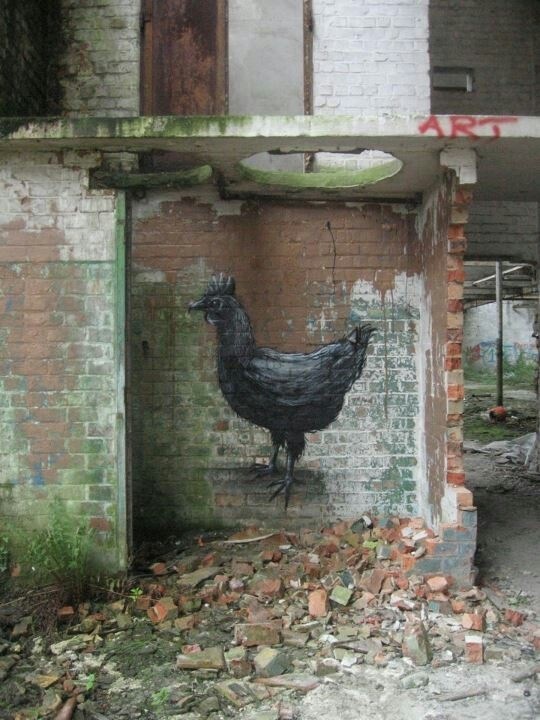 Now his art can be found all over the world. 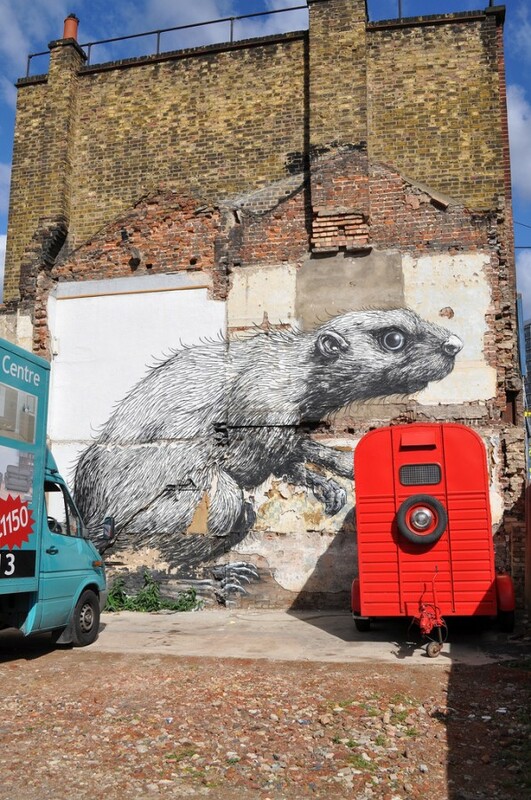 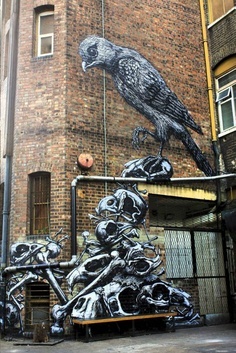 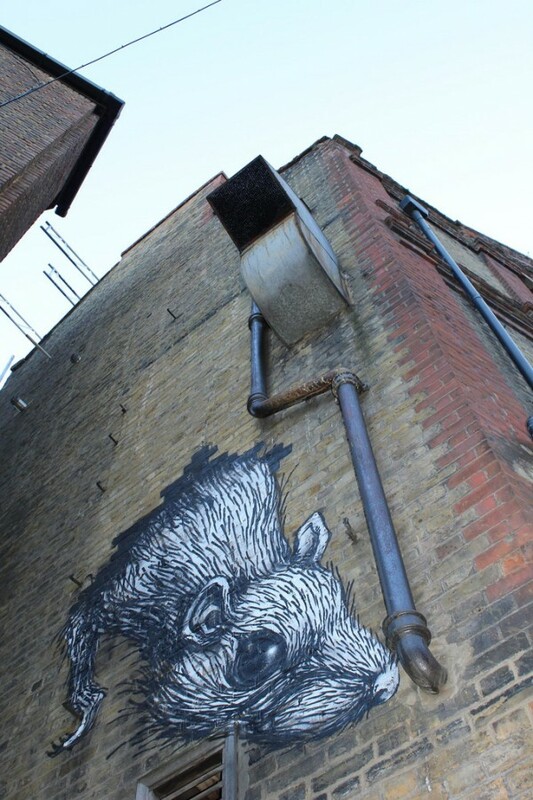 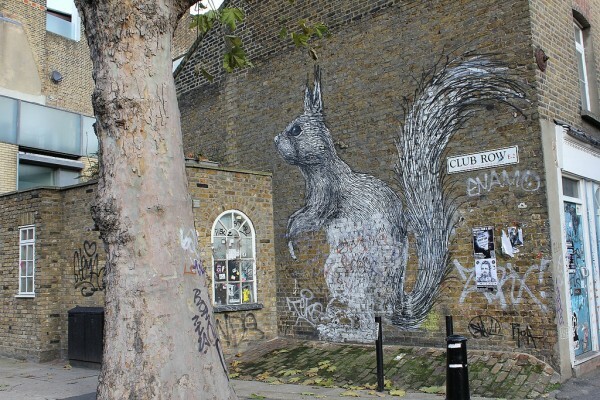 ‘In 2010 ROA came to particular notice in the UK when Hackney council threatened to paint over one of his paintings, a 3.5m high rabbit. 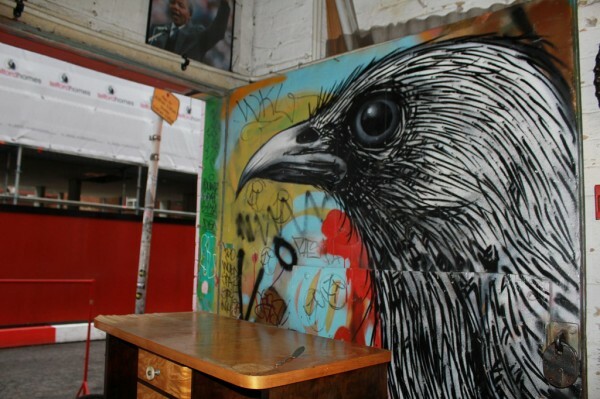 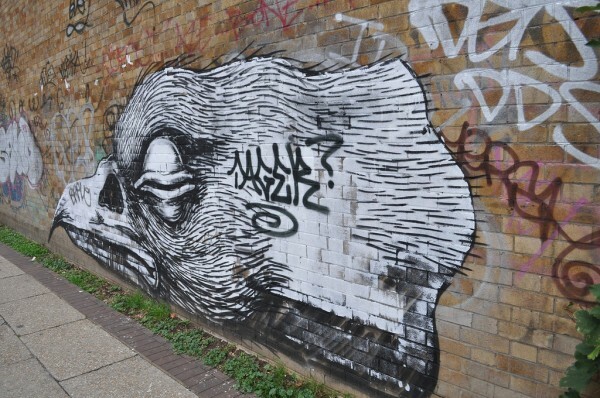 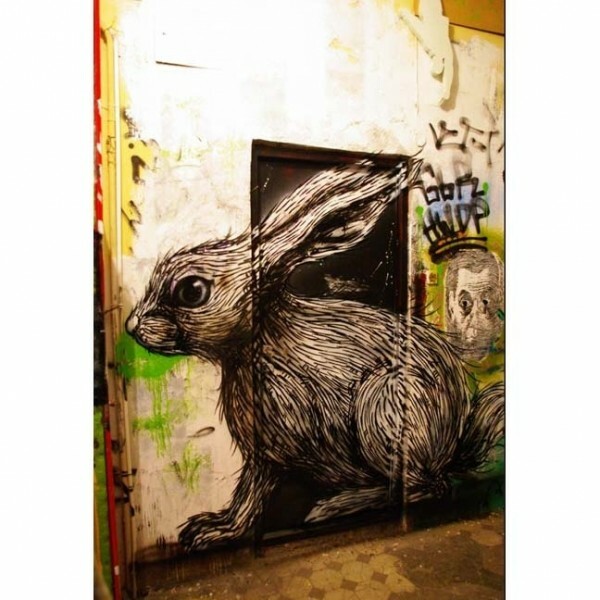 The rabbit had been legally painted on the wall of a recording studio in Hackney Road, London. 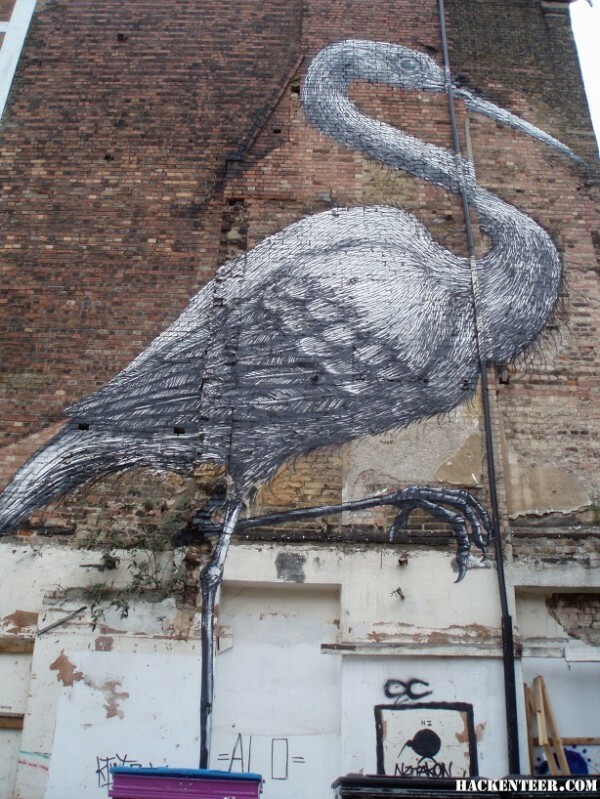 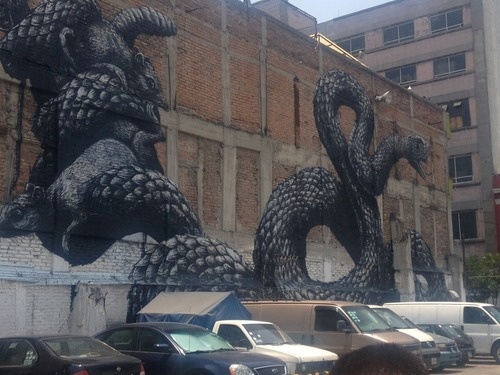 A campaign was launched to keep the mural, by the building’s owners and local residents, forcing the council to change its mind.’ Excerpt taken from Wikipedia. 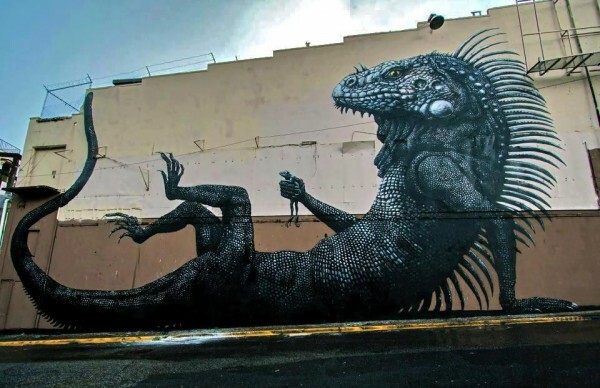 See more graffiti, urban art and street art from a variety of street artists on Mr Pilgrim’s google plus page or catch up with me on facebook. 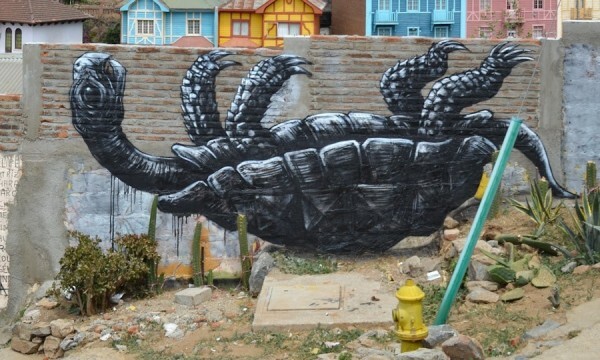 Impresionante , fantásticas imágenes gracias David.? 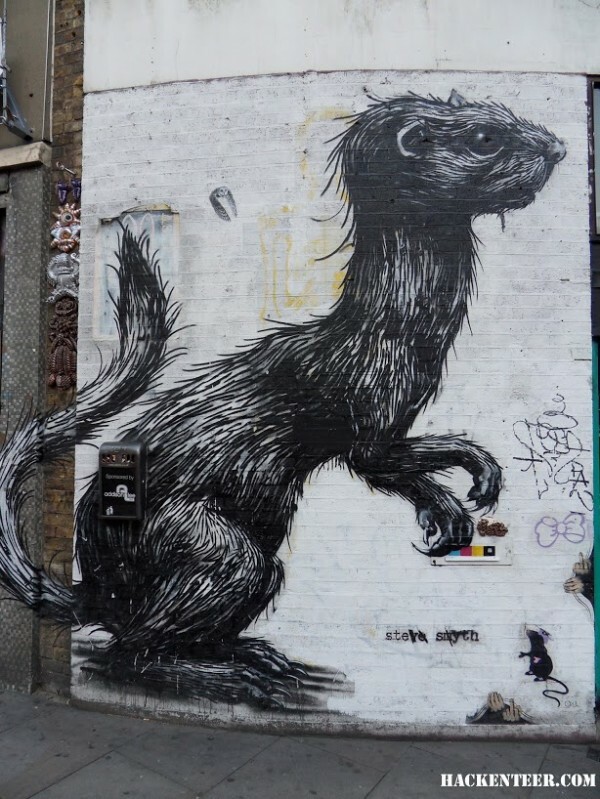 I’ve seen that stoat/feret graff in London recently.